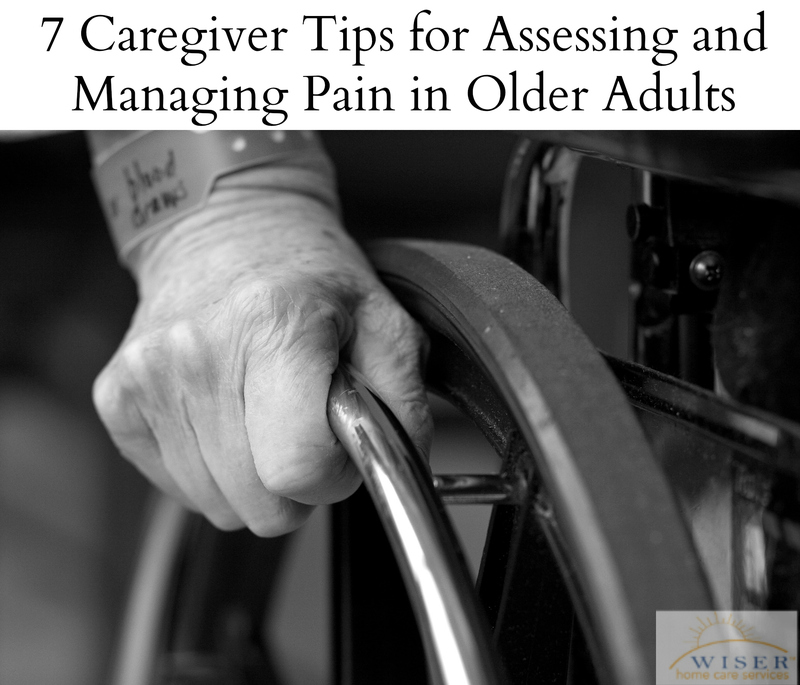 Assessing pain is one of the more challenging jobs a caregiver will have to tackle. Especially when caring for an older adult who cannot or will not communicate. Not only is unrelieved pain uncomfortable, it has been associated with heightened anxiety, depression, increased falls, slower recovery from surgery, malnutrition and changes in cognition. Reducing the amount of pain your elder is experiencing will not only improve their comfort, but it will also make it possible for both their body and mind to perform more efficiently. Although caregivers do not prescribe pain medication, nor administer medications there are things caregivers can do to help an elder who appears to be in pain. A dim room and soothing music may alleviate some of the restlessness and anxiety that accompanies pain. For those who can bear to be touched, a soothing, light massage helps. Some respond better a warm water bottle of a blanket that has been warmed in the dryer. Aromatherapy has been known to help relieve pain but some may find odors to be unbearable. Encourage relaxation. Breathing slowly and quietly helps the mind and body to relax and helps decrease pain. Simple relaxation methods can be learned from books or audiotapes on relaxation techniques. Work with your elders and find out what helps them during that time that the pain is heightened. There are several websites that have a selection of products that may help to manage pain. The Wright Stuff, the Senior Corner Store and Active Forever. If you still have questions and concerns about how to help your elderly loved one with pain management please feel free to contact us. We can help you and your family establish a pain management and care plan. Wiser Home Care: Care for the ones you love!